So when I started writing about all these different churches we’ve been going to, I figured it be a good way to have something to write about every week in case I was having writer’s block. Well, now I have about a gazillion churches to write about and oh, so little time. This past week has been a bummer all around. I caught a cold last week for about three days with the changing weather, we had no move to another vacation apartment (and repack and unpack everything again!) and just yesterday I got some sort of stomach virus (I’m blaming the fish we ate the night before. Lesson learned: Never eating fish in Italy again). So all in all, no time to write and too many things to do. About two weekends ago, we dipped our toes into exploring Trastevere, of which I’ve heard so many good things, and I was super excited to see Santa Cecilia in Trastevere. St. Cecilia, patron saint of music, is one of the most well-known Roman saints and also my confirmation saint! Legend has it that the church was built over her house. I absolutely adored this church! 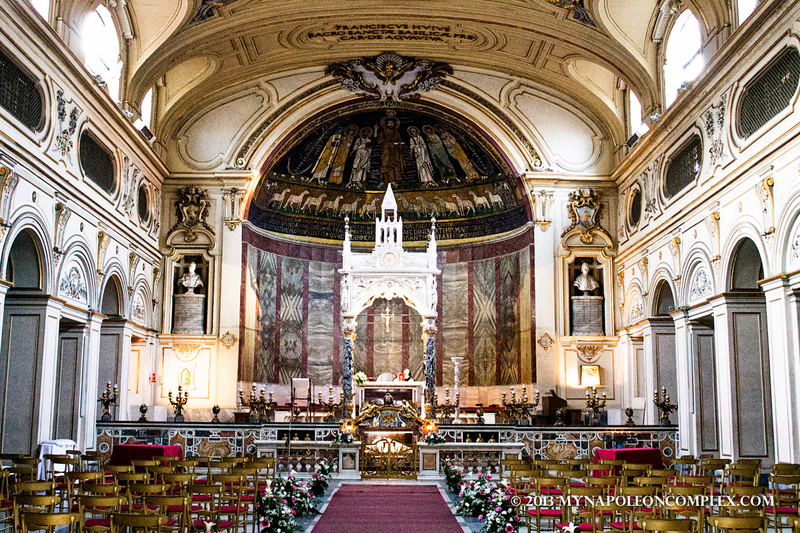 It was just the right amount of ornate, without going to the extremes of Chiesa del Gesù. We even got to see a wedding! 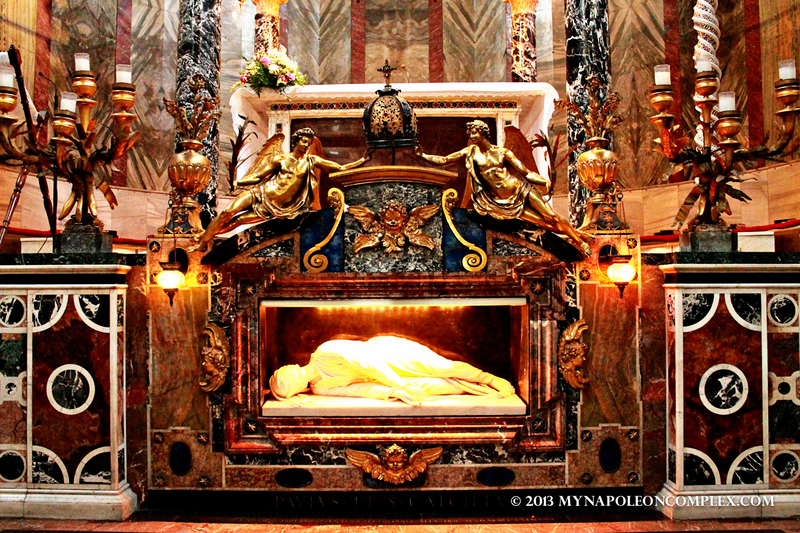 The most powerful work, I think, was the sculpture The Martyrdom of Saint Cecilia by Stefano Maderno. The sculpture represents the way the artist witnessed her body upon the opening of her tomb. Her body was supposedly, completely preserved and with the three ax marks visible on her neck. Beneath the church, you can also visit the crypt for a small fee where her relics are kept. The next day, continuing on our St. Cecilia high, we visited the Catacombs of San Callisto along the Appian way. Before this, I personally had no idea what catacombs even were, but I was pleasantly surprised at how interesting this site was. To enter, you went on a guided tour of the underground Christian tombs that lasted about 50 minutes (just the right amount of time before it starts getting boring in my opinion) and extremely informative. This particular catacomb was the burial site of many popes and martyrs, including Saint Cecilia. 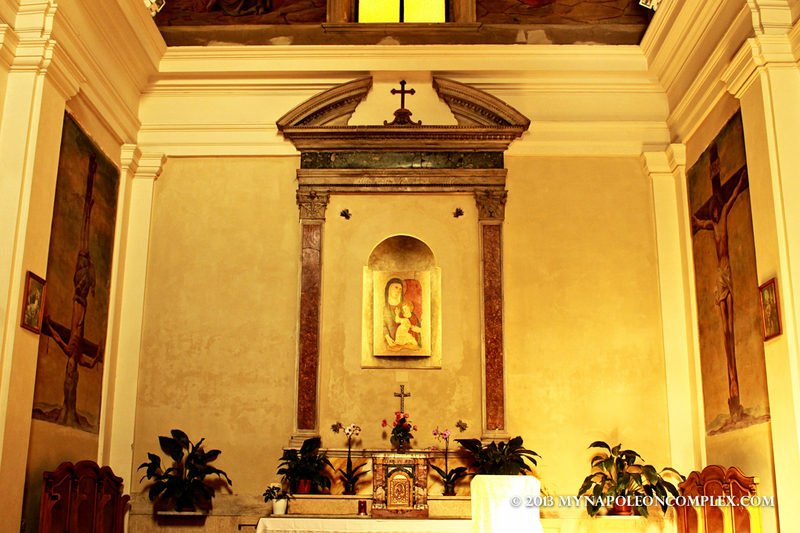 After the tour, we walked about a kilometer down the street to the Church of Domine Quo Vadis. Yes, folks, a double whammy today with the Church stuff. This church is located on the site where St. Peter met Jesus when he was fleeing Rome. Peter asked Jesus, “Lord, where are you going?” (Domine, quo vadis?) 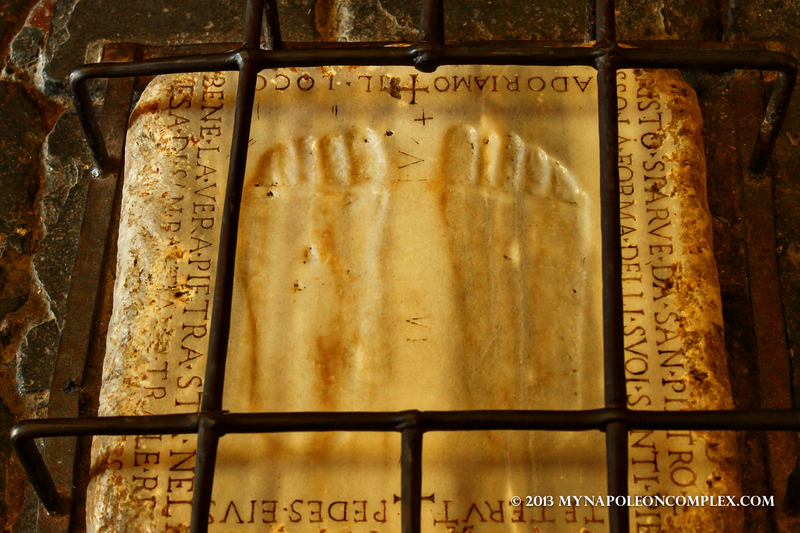 to which Jesus replied, “I am going to Rome to be crucified again.” In the center of the church there is a marble slab with the footprints considered to be miraculous signs left by Jesus (we later learned this is actually a copy and the original is held nearby at the Basilica of San Sebastiano Fuori le Mura). Anyway, that’s all I have for today, guys! Continue to wish us luck on our never ending apartment hunting!